With the advent of iPhones, iPods, and iEverything, or so it seems, it's a lot easier for anyone to get their hands (and ears) on music for some much needed downtime and reflection. The newest pop stars and rock bands like Lady Gaga, Katy Perry, and Muse dominate iTunes and the music charts, but we would make a mistake of epic proportions – equivalent only to Ashlee Simpson caught lip-syncing live on national television – if we failed to remember the talented chords of memory every once awhile. When you think of the 1980’s, you either think of the aforementioned King of Pop – or you think of a five-member band called Queen, not excluding Freddie Mercury, its iconic front man. Together with Mercury, the group produced such rousing period pieces as “Barcelona,” “We are the Champions,” “Don't Stop Me Now,” and “Bohemian Rhapsody.” These fiery, inspiring performances are sure to start a bounce in your leg and a beat in your head. Rounding out No. 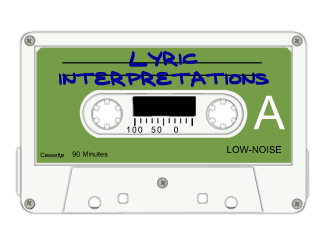 5 on Lyric Interpretations’ “Blasting Back to the Past” countdown is the King of Rock and Roll. His hypnotic hip gyrations may be outdated, but the rock star who hailed from Memphis and forever changed the landscape of American music. “Heartbreak Hotel,” “Rock Around the Clock,” and “Burning Love” all spring to mind a pelvis-shaking time in rock and roll folklore. "A boy named Sue" is another good classic from Cash. To the list I'd add Nirvana for it's roots in alternative rock. "or you think of a five-member band called Queen"
What? Freddie, John, Brian, and Roger. That's four. Peter Gabriel-era Genesis - this stuff will blow your mind.